Here’s the WAWA plan for tomorrow! I promised less running this week and more circuit-based exercises. 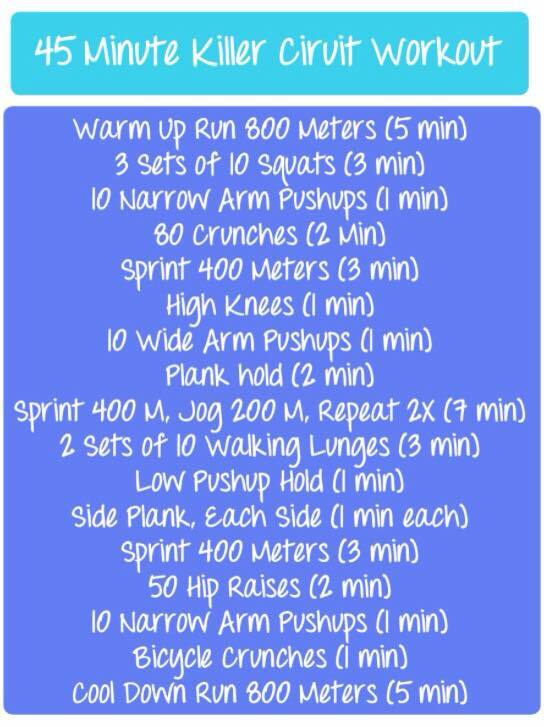 Tomorrow’s workout will be 45 minutes as shown, then 10 minutes of core-abs work. Rev. Derek J Macleod will lead our huddle devotional. NOTE: I’ve measured the distance between the Wells Fargo branch and Harris Teeter store as approximately 200 meters. We’ll incorporate that “route” for the short runs included in the circuit. Please meet in the parking lot behind the Outreach Center. Don’t forget your water bottles! 6 am start time!